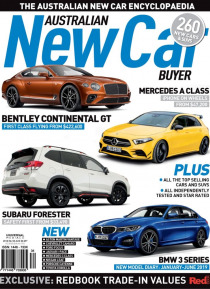 Australian New Car Buyer is the only magazine in Australia that covers every new car on the market. Inside you will find the ultimate reference for new car buyers. The magazine features information on developments at all levels of the industry and a comprehensive run-down of small, medium, family, coupes, sports and luxury cars that are available on the Australian market. New Car Buyer also shares… with its readers the latest news, products and events of the automotive world. Perfect for any car enthusiast.